As new content and games are being announced for the Sony’s latest console, PlayStation 4 demand is increasing with every passing day and Sony, despite its efforts, is not able to provide regular stock to retailers. The PlayStation 4 launch in Japan is also getting close, so it is being said that the manufacturer would have to sacrifice PlayStation 4 stock shipments in France in order to overcome launch demand in Japan. PlayStation 4 would launch in Japan on February 22 and to keep the launch stable and smooth, Sony has to keep the number of units as much high as possible. With that being said, it is possible that the availability of PlayStation 4 console in other parts of the world especially in some European countries would decrease until the launch demand of the console is contented in Japan. Reports are already coming in that customers in France would not be able to get hold of PlayStation 4 consoles until early April, if they miss out on already available stock. Juex-Video, a well-known French online retail store is already out of stock and next shipment of PlayStation 4 is not expected till the month of April 2014. According to the retailer, PlayStation 4 Orders placed after December 20, 2013 are not guaranteed to deliver in February 2014. Amazon France is also all sold out on PlayStation 4 console and the replenish date is not even known or mentioned, the site is open to orders but will only ship once the console is back in stock. The retailer would send you an email with estimated delivery date as soon as it gets more information on the next shipment from Sony. Reports says that Micromania, online French games store, would also receive its PlayStation 4 shipment from the manufacturer on the already mentioned time frame. 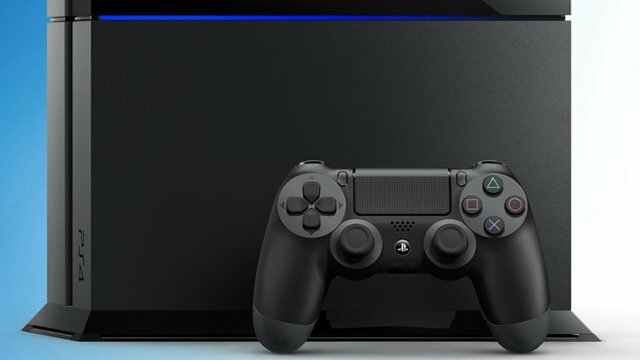 PlayStation 4 European launch was marked with console stock issues, Sony failed to overcome the launch demand of the consoles and many stores suffered with replenishment issues after they sold their first PlayStation 4 stock. PlayerOne.TV reported the PlayStation 4 replenishment issue in Europe and contacted Sony to find out the reason, the reply was that the console shipment to some European countries would be reduced to manufacture and store enough units for February launch of PlayStation 4 in Japan. These reports indicate that French retailers would have to wait for new stock shipments until Sony is over with the PlayStation 4 Japan Launch. Also it also shows the fact that the PlayStation 4 Japan launch would be big. Kazuo Yoshida, President and CEO Of Sony, was also asked about to comment on the replenishment issue of the console via Twitter but its looks like he has not idea about this.